The video I have chosen this week is from Family Adventure Project, whose video is on the Sandugo Street Dance Festival. I think it must be so fantastic to experience other cultures like this, especially for children. I would absolutely love for my children to experience different traditions in other countries. Huge thanks to everyone who joined in with the #YourYouTube chat on Sunday night. 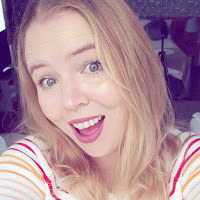 It was lovely to chat to you all about vlogging and share hints and tips. The chat will be at 8pm every Sunday so be sure to follow the hashtag #YourYoutube to join us this week! On to the reason you're here, please link up no more than two videos. Ensure you watch and comment on the host video and the video before your own so that way we all get some likes and comments. I am going to be away from Sunday so will watch your videos on my return. Lisa has agreed to watch them all in my absence. Also, just a reminder that there's no need to link up the same video on both mine and Lisa's websites. We are sharing this linky, so you can rest assured your video will be watched if you link it up.